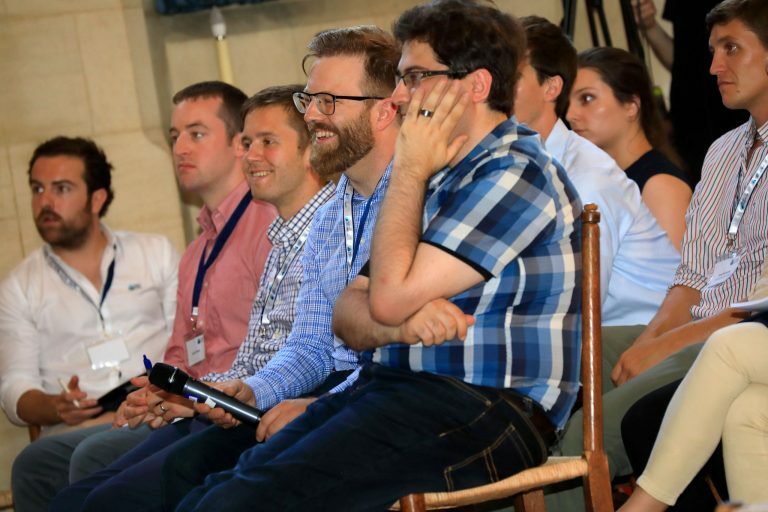 The inaugural Schmidt Science Fellows Global Meeting took place in Oxford, UK, over two weeks in July and August 2018. 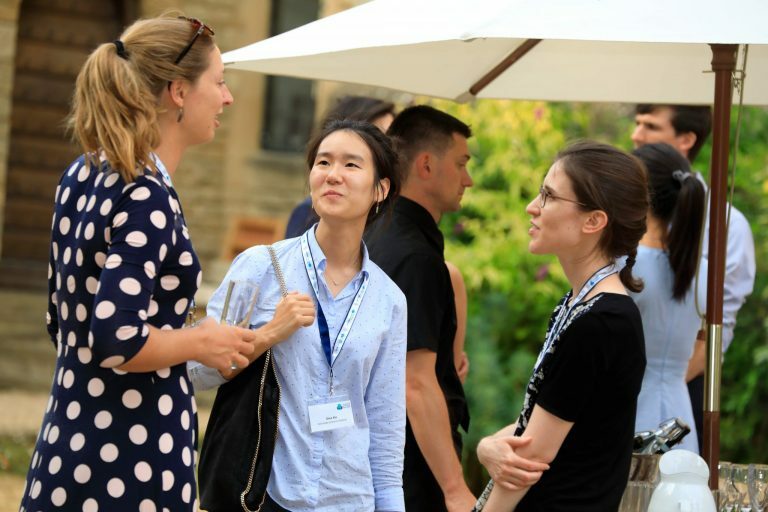 Centred on the historic venue of Rhodes House in the heart of Oxford, Fellows participated in sessions on ethics, leadership, and problem-solving and met leaders in science, business, and public policy. The group visited world-leading centers including the Blavatnik School of Government and the University of Cambridge. 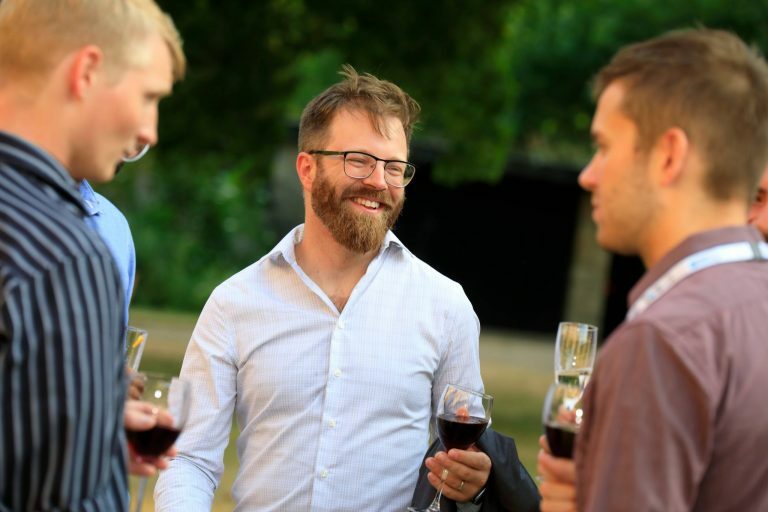 Schmidt Science Fellows attend four convenings as a cohort during their fellowship year. 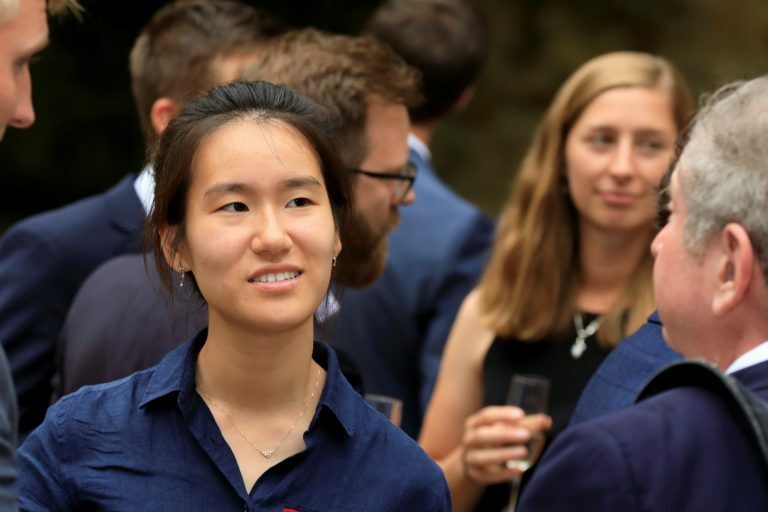 This Global Meeting Series is held around the world to enable our Fellows to engage with new concepts, to visit leading science facilities, and to have a dialogue with internationally-renowned thought-leaders from science, business, policy, and society. 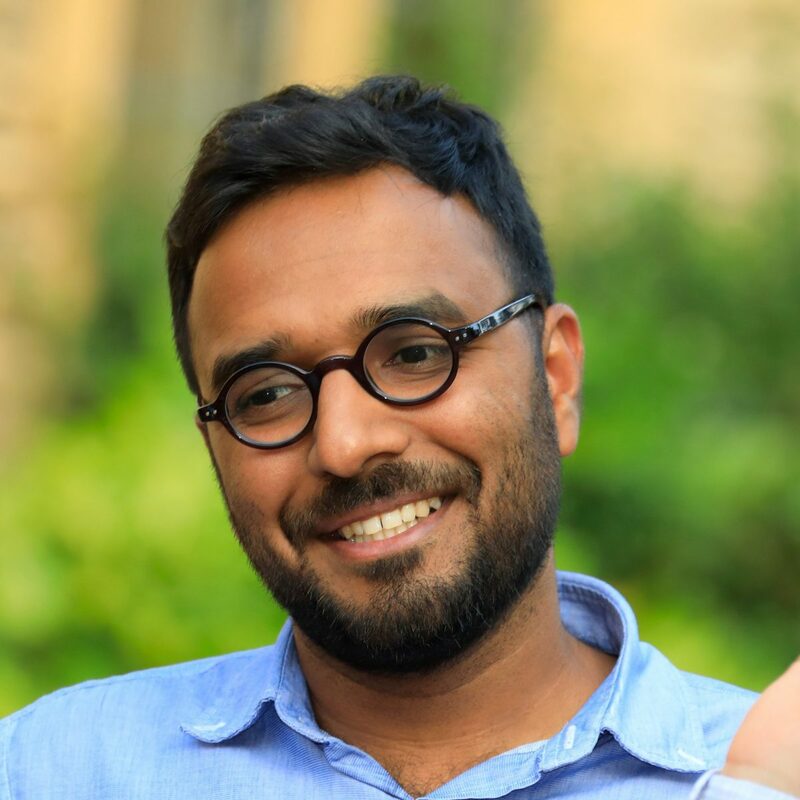 Explore more of the Fellows’ experiences with the video, image gallery, and blogs from some of the 2018 Schmidt Science Fellows on this page. 2018 Schmidt Science Fellows Dr Jielai Zhang, Dr Jina Ko, Dr Ryan Truby, and Dr Yogesh Goyal. 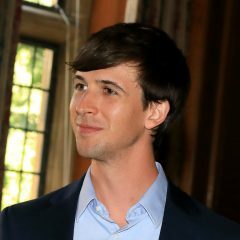 2018 Schmidt Science Fellows Dr Peyton Greenside, Dr Jina Ko, and Dr Adi Steif. 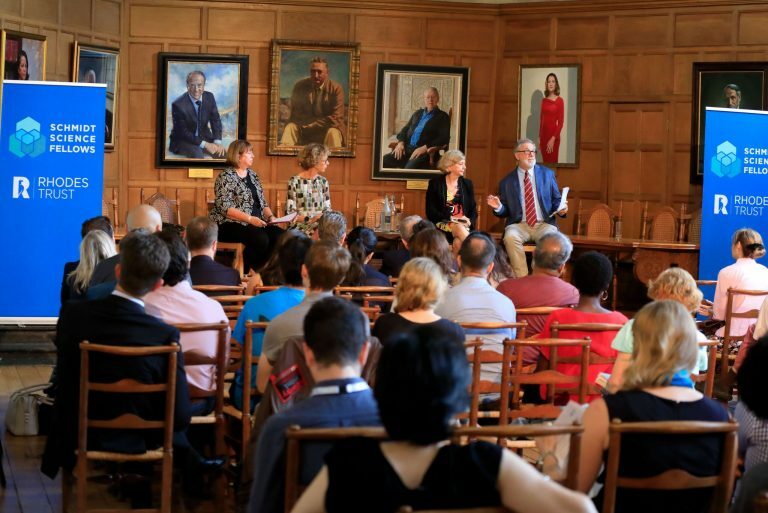 Public panel discussion at Rhodes House during the Global Meeting on the topic of leadership in science. 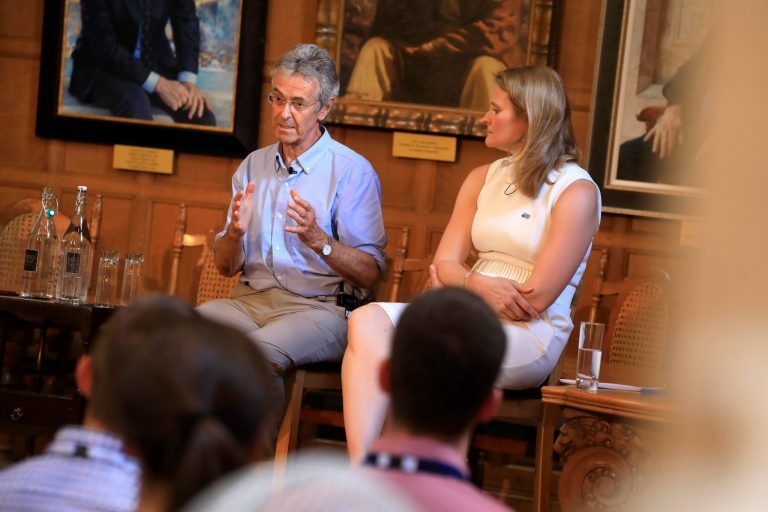 The panel included Prof Ian Walmsley, Prof Charlotte Dean and Prof Lord John Krebs. The panel was chaired by Executive Director, Dr Megan Wheeler. 2018 Schmidt Science Fellow, Dr Hal Holmes, poses a question to the Leadership in Science panel. 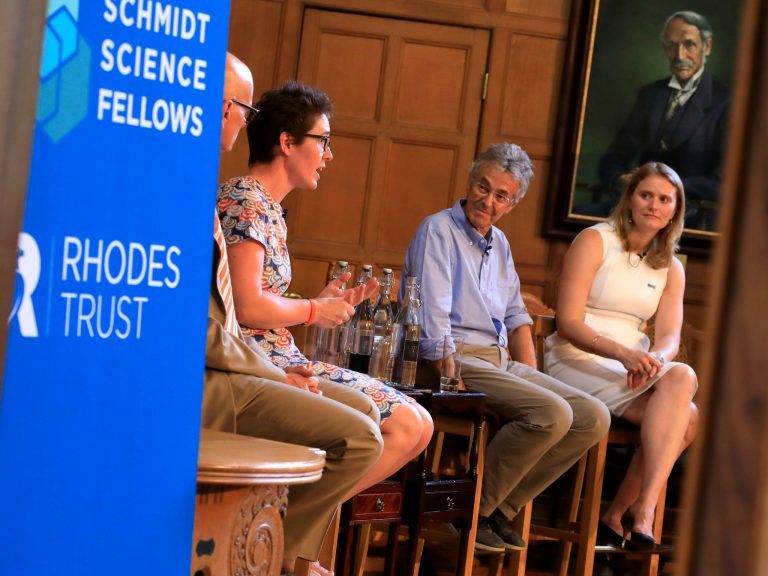 The inaugural class of Schmidt Science Fellows attended two public panels during the Global Meeting, hearing leading figures debate issues in science, innovation, and leadership. 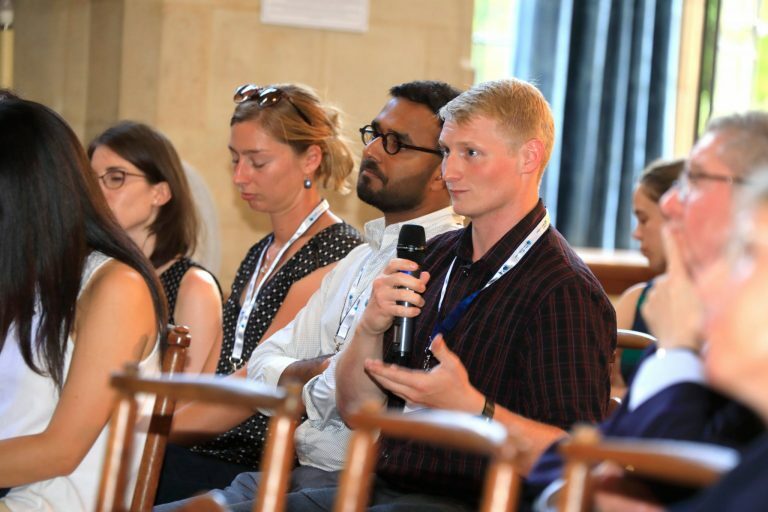 The public panel on innovation and interdisciplinarity was held in Milner Hall, Rhodes House, Oxford. Prof Dame Wendy Hall from the University of Southampton chaired the panel of Prof Helen Byrne, University of Oxford, Prof Jackie Hunter, CEO of BenevolentBio,and Prof Hagan Bayley, founder of Oxford Nanopore Technologies. 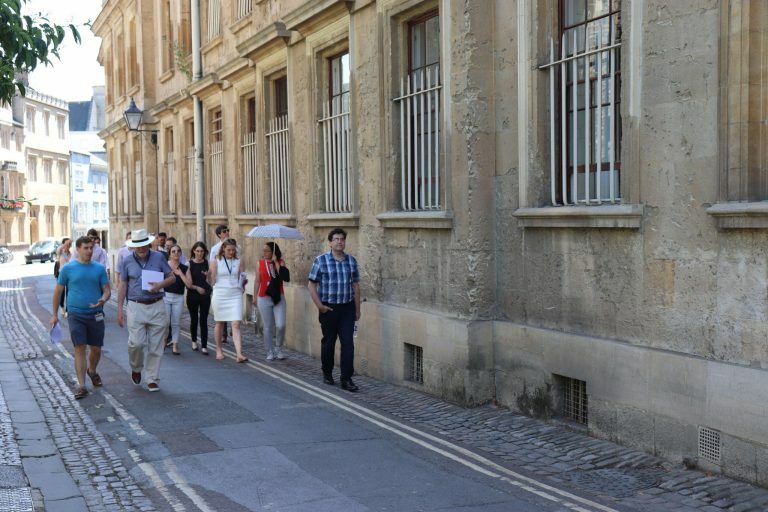 The Global Meeting was centred on the city of Oxford where Fellows had the opportunity to walk in the footsteps of Edmund Halley, Robert Hooke, Christopher Wren, and Howard Florey. 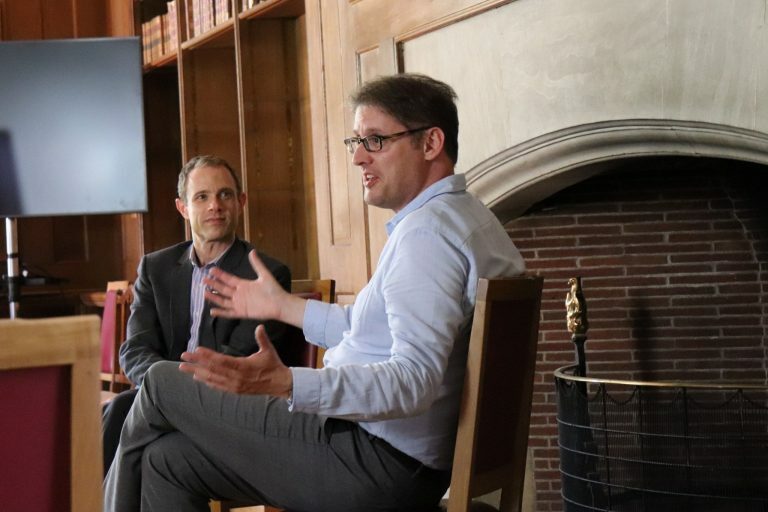 The Schmidt Science Fellows had the privileged opportunity to visit the room at Wadham College where the 'Philosophical Club' met. 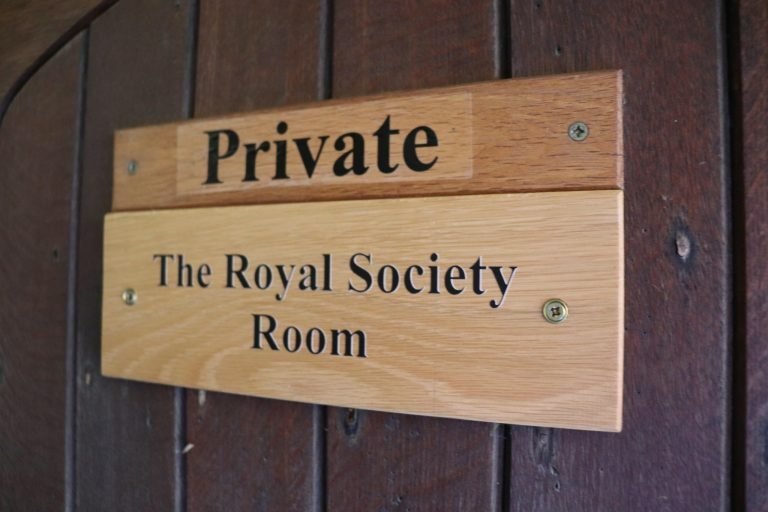 The members of the club became the nucleus of the Royal Society. 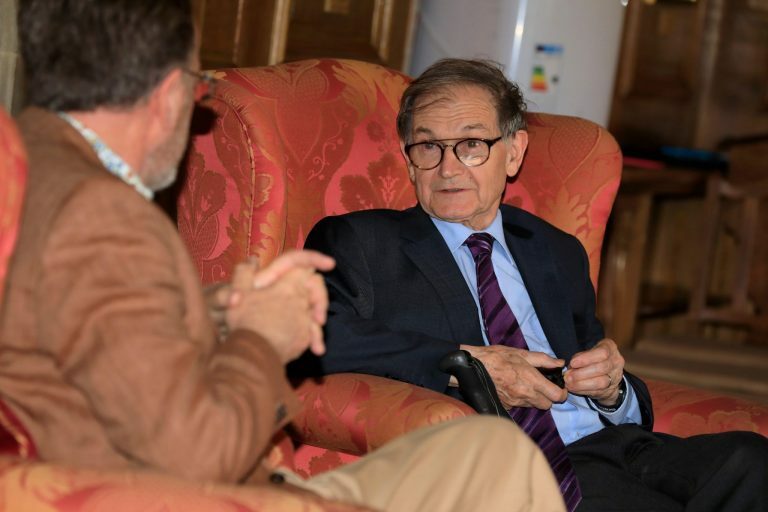 The Global Meeting featued a 'fireside chat' with Prof Sir Roger Penrose. 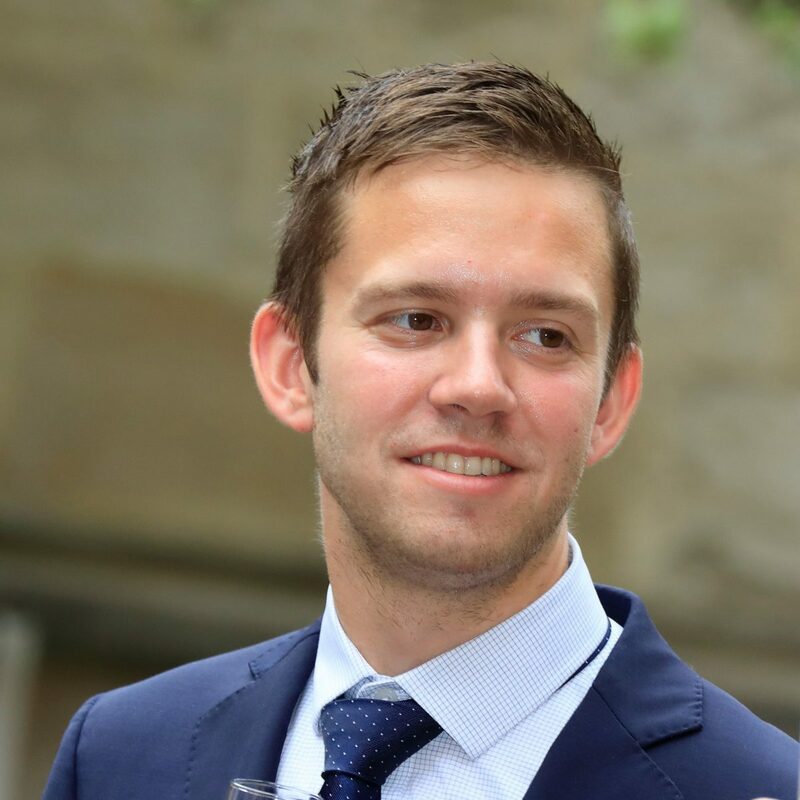 Tony Danker, CEO of Be The Business, was interviewed by Eric Braverman, CEO of Schmidt Futures, on leadership across different sectors. 2018 Schmidt Science Fellows with Tony Danker, CEO of Be The Business and Eric Braverman, CEO of Schmidt Futures. 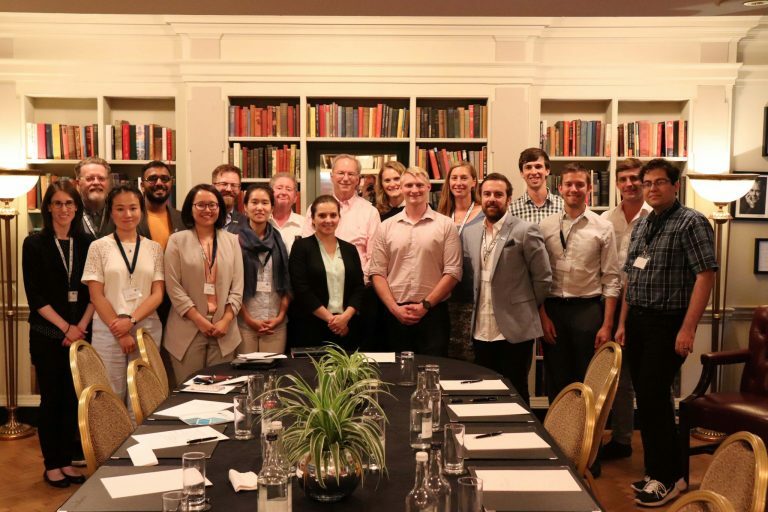 The Fellows enjoyed a private meeting with Eric Schmidt where they were able to discuss his thoughts on the opportunities and challenges in science and innovation. 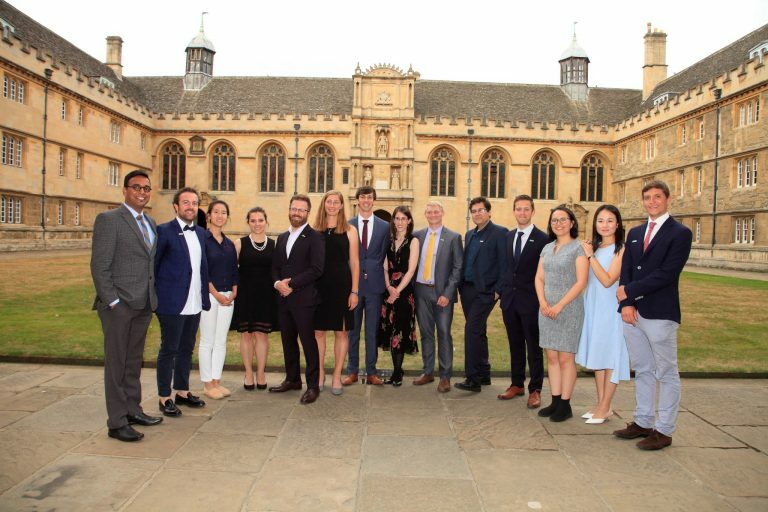 The Global Meeting closed with a formal dinner at Wadham College, Oxford, hosted by the new Warden and CEO of the Rhodes Trust, Dr Elizabeth Kiss. 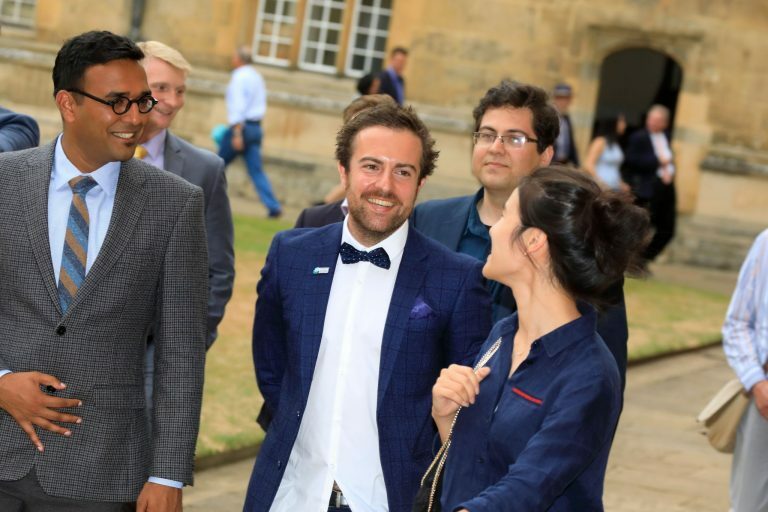 Here, 2018 Fellows, Dr Yogesh Goyal, Dr Mattia Serra and Dr Jina Ko head to the dining room around the college quad. 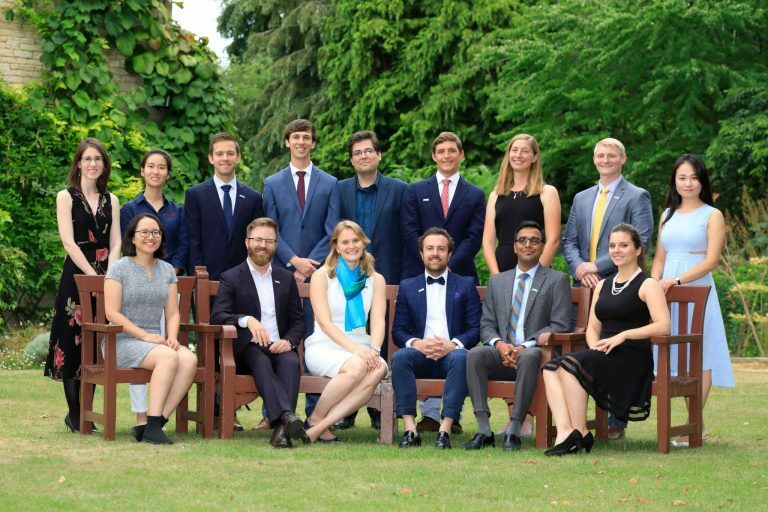 The 2018 Schmidt Science Fellows at Wadham College, Oxford. 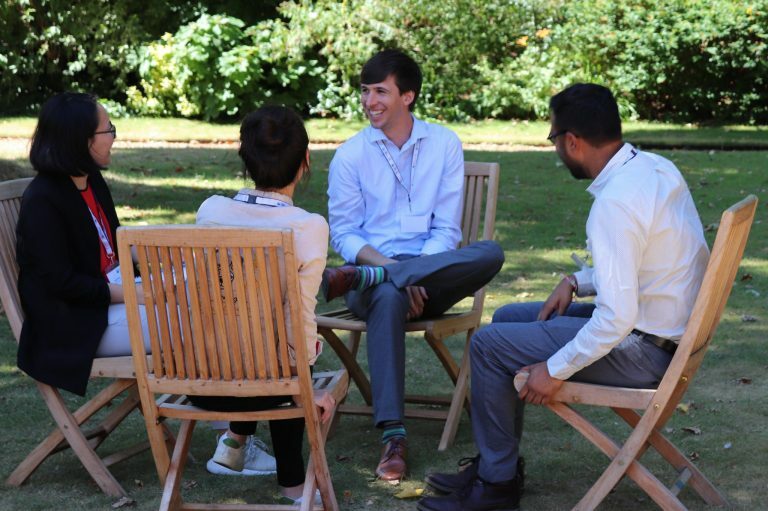 Fellows were able to use the relaxing ground and gardens of Rhodes House for informal conversations and networking with speakers throughout the Global Meeting. Group discussions of leadership and ethics were an important part of the Global Meeting. 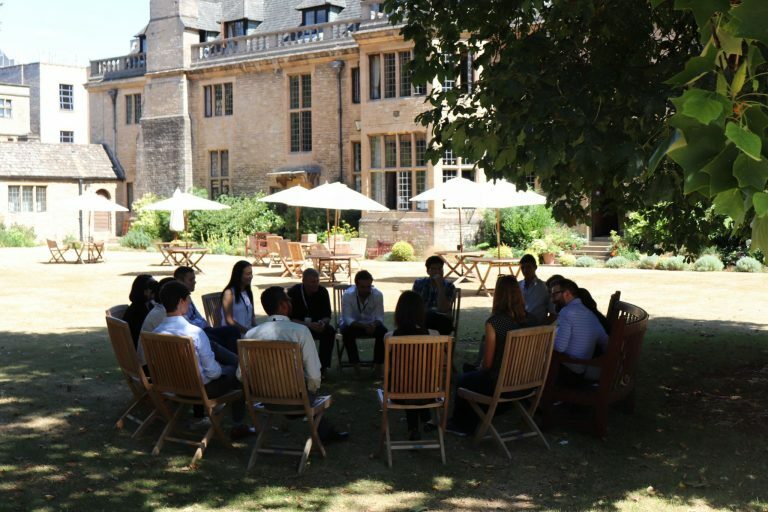 Fellows were able to take advantage of the beautiful surroundings of Rhodes House. 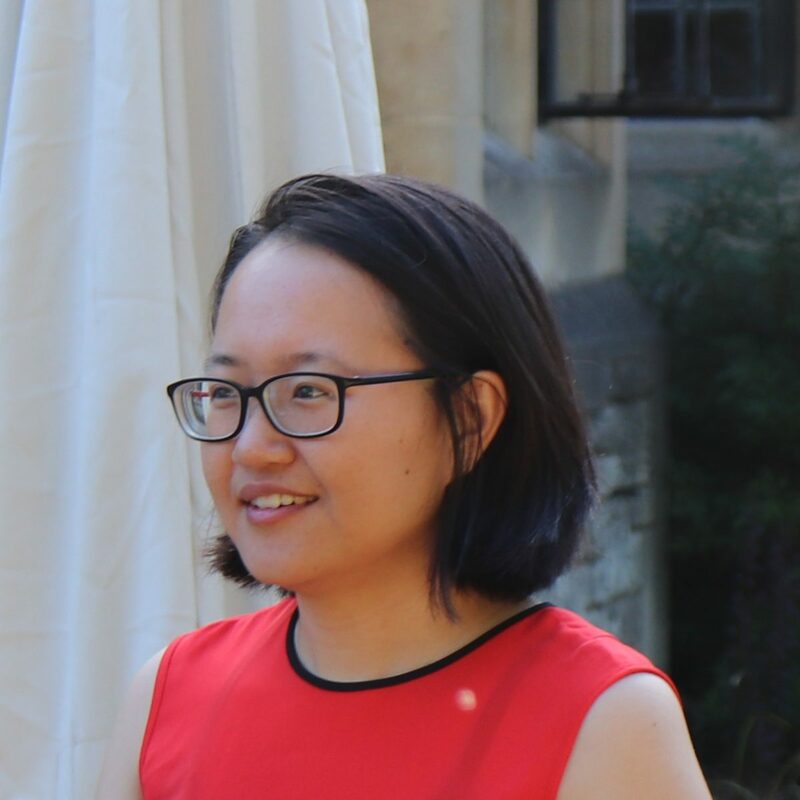 2018 Schmidt Science Fellow Dr Jina Ko in conversation with Schmidt Futures Chief Scientist, Dr Stu Feldman. 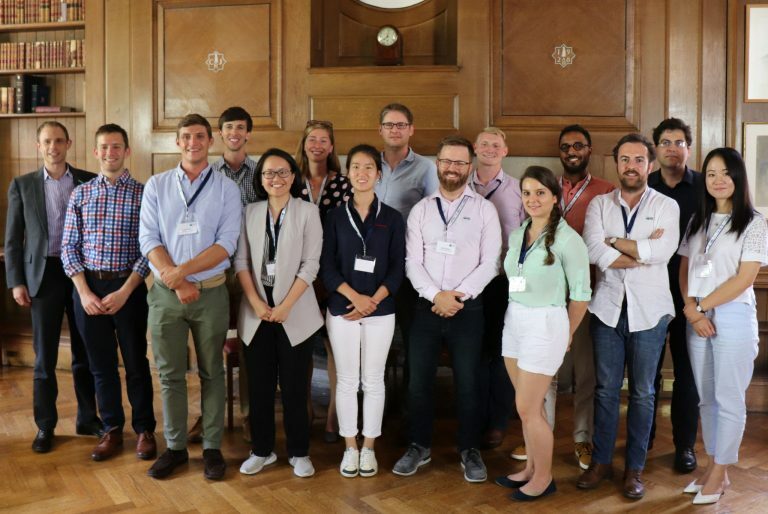 The 2018 Schmidt Science Fellows and Executive Director Dr Megan Wheeler at the Oxford Global Meeting, August 2018.